Lately, more and more students want a non-academic job when they finish their PhD. Anecdotally, some graduates seem to be experiencing the PhD as a barrier to employment, not an enabler. In fact, I’ve heard so much negative talk about how employers react to PhD holders over the years that it seemed important to start looking at this phenomenon more closely. We’ve just started doing some work, interviewing recruiters and hiring managers, and I thought I would share some (very preliminary) research findings with you. In case you don’t know, I’m actually an academic and for 10% of my time each week I study, well – research. Since 2014 I’ve been researching post PhD employability exclusively because I think it’s an important, but under-researched, problem. In 2014 I started working with my friend Dr Rachael Pitt (@thefellowette on Twitter) on academic employment. Rachael noticed that academic job ads asked for a ridiculous number of skills. We simply collected a bunch of academic job ads and coded them to find out what academic employers seemed to be looking for when hiring a PhD graduate. This research resulted in a paper called “Academic superheroes: a critical analysis of academic job descriptions”, part of which I shared on the blog here. (Please do not confuse this paper with the recent book called ‘How to be an academic superhero’, which I won’t link to because I think it’s bad. This author read and quoted our research, but clearly didn’t really understand it, so his book mostly reinforces old fashioned, unhelpful ideas like ‘publish or perish’. If you want a good book on the topic of finding and securing an academic job, I recommend The Professor is In). The obvious next step was to do a similar analysis of non-academic jobs, but we had to find them first. If you type in ‘PhD’ to a database like Seek.com, you’ll see pages and pages of academic jobs and precious little else. To solve this problem, I worked with my ANU colleagues Dr Will Grant and Associate Professor Hanna Suominen. We used machine learning (specifically natural language processing) to design an algorithm that was capable of ‘reading’ millions of job ads to find ads that were suggestive of PhD level research skills, but did not explicitly ask for a PhD. If you’re interested in reading more about this work, it’s documented in our paper “A machine learning analysis of the demand for non academic job opportunities for PhD graduates in Australia”. As it turns out, our analysis showed that 80% of Australian employers looking to hire someone with high-level research skills do not ask for a PhD. This fact is, in itself, is an important finding. If most employers don’t think that putting ‘PhD’ in a job ad is a good way to attract the best candidates to apply for research jobs, what do they think is important? We set about asking recruiters and hiring managers this question. Recruiters and HR professional are important gatekeepers in the employment process; either doing the shortlisting or producing the ‘long list’ from which the shortlist is formed. As it turned out, getting these interviews was hard: harder than doing machine learning in some ways. Recruiters are busy people; difficult to reach and seemingly reluctant to give their precious time to researchers asking about their practice. We tried to place some 80 calls, but only eight so far have agreed to a phone interview, but what I found out during these conversations was fascinating. Recruiters are looking for evidence you can do the job advertised. My participants told me repeatedly that experience was highly valued, over and above qualifications. Qualifications were regarded with suspicion, and the PhD was no exception. Just because you can demonstrate you have learned something, doesn’t mean you can do it well in practice. Recruiters told me that lack of experience was the primary reason why PhD graduates are often passed over in the shortlisting process, despite having plenty of evidence they can run a research project from start to finish. Since I see the PhD as a clear demonstration of work experience in doing research, I found this attitude mystifying, until I started to realise that what counts as experience depends on the way ‘work’ is understood. I started to tune in on the words and phrases recruiters use to describe their understanding of the PhD and academia. A discourse analysis revealed that these recruiters saw academia not as a workplace, but as another ‘world’, almost completely separate from the commercial workforce (one even said academia is ‘another planet’ and academics as ‘aliens’). If these important gatekeepers don’t see the university as a workplace, they will not tend to see PhD as work. Alternatively, they will position the PhD as work that happened under such different conditions that it just doesn’t count as ‘actual experience’. My social science training cautioned me to take a deep breath and not get outraged. I’ve been taught to take my research participants at their word, not assume they are labouring under a ‘false consciousness’ about their actions. I must assume my participants are telling me the truth, from their perspective, which enables me to ask a more important question: why might some recruiters form the opinion that academia is not a ‘real workplace’? My friend @nontweetingnigel once told me that his PhD was ‘a job no one else would pay me to do” and I think he’s right. Work conditions in academia value inquiry and creation of new knowledge, so we take on the most difficult questions and problems. The aim of academic research is to answer questions, but we also value your ability to find more questions. We tend to be pretty relaxed about how long that process takes. By contrast, most non-academic employers value utility over novelty and depth. In my discussions with employers, employer groups and my latest discussions with recruiters most have told me they want the answers to questions – and relatively quickly. Projects are likely to be carried out under significant time constraints, closing out further questions as much as possible. Unlike academia, commercial reports are designed to be read by people in a hurry and tend to be short (never 100,000 words long!). Thus, viewed from the commercial side of the fence, academic research, with its long project timelines and documents, must appear more leisurely and less task focussed than research carried out for profit. We don’t experience it that way, but what is at stake here is not our perception of reality – it’s theirs. This is a satisfying analysis, but I don’t think this is the whole explanation for anti-PhD sentiment. I got several comments along the lines that PhD graduates were ” a bit peculiar” and tried to probe this attitude more closely. One recruiter told me he used to routinely put CVs with PhDs into a shortlists at the start of his career but now is more circumspect. He noticed that some hiring managers would immediately throw resumes with a PhD on them out, or force him into into into arguing the case to hire the PhD candidate (from his point of view, a waste of time). He has now developed a “sense for when the hiring manager is open-minded” and will choose whether or not to present a PhD graduate not on fitness for purpose, but on the attitude of the hiring manager. I asked why he thought that hiring managers might become ‘anti-PhD’ on principle, and he used words to the effect that “hiring managers only have to experience one difficult PhD graduate and they never want another one”. On the face to it, automatically assuming someone is going to be ‘difficult’ because they have a PhD seems fundamentally unfair. PhD graduates are people, and people should be treated as people – right? Sadly, in the employment process, people are often not treated as people but as representatives of a ‘type’. So what sort of ‘type’ is the PhD graduate? I’d suggest, in the popular imagination, The PhD graduate is someone like Sheldon Cooper on the Big Bang Theory: intelligent, but odd with difficulties fitting in socially. Of course, most of us are not at all like Sheldon Cooper, but many people do not encounter PhD graduates in their everyday life – at least not enough to counter the effects of this stereotype. It’s easy to forget when you are surrounded by Doctors all day that comparatively few people graduate from the degree each year and make up a vanishingly small proportion of the population. PhD graduates are therefore representatives of a minority group and are facing the ordinary problems minorities face when trying to enter areas of the workforce where they are under-represented. I suspect what is going on here is similar to how racism, ageism and ableism distort the hiring process: discrimination. There’s plenty of evidence to suggest your name and gender will affect whether your CV finds its way to the top of the pile – it seems the PhD, in some circumstances, has a similar effect. The PhD marks you out as special and different, but sometimes being special and different is not to your advantage. How can we counter this discrimination? I’m not sure. I am planning another post on how people ‘hide’ their PhD in the application paperwork, but for now, I’m interested in your thoughts and experiences. Have you experienced ani-PhD sentiment when attempting to find a job, or just in everyday life? If you want a non-academic job, what do you think you can do to counter this stereotyping in the way you present yourself in your CV and resume? This entry was posted in Your Career and tagged employability. Bookmark the permalink. Thank you very much for this post, it is spot on what I am thinking about at the moment. My feeling is very much that my Phd is not being seen as work experience, although I am not sure what kind of experience hiring managers consider it to be. I recently applied for a research analyst job in a bank and was told that I was under qualified, even though I have managed and carried out individual and collaborative research projects during my phd. Even in organisations where I do know they value having a phd more , I still get the impression that they are more concerned with my lack of work experience rather than having a phd from a good university. Maybe its because they do not know what to expect from a phd student, that is what people seem to be telling me. I would be super interested to hear what you think could be good strategies going forward. What I have been told so far is to really emphasise tre transferable skills that I have. Also, in your CV , instead of putting Phd under “education” maybe group work and education together under “relevant experience”? These are some of the things that I am experimenting with! It’s a difficult bind, but your experience does map on to what I am hearing. Perhaps an internship or something similar might give you just the little bit of exposure to the environment that you need? Thanks! Yes I guess the “problem” for me is that I have already done several internships prior to phd and also worked – I am in my early 30s. I am not really keen to go back to internships… But we’ll see, I think I just need to be patient! Well that’s disappointing as well! I’m not sure what else you can really do, except persist? I’ll keep researching. Answers must be out there! Thanks yes I agree, and I will let you know how it goes. Looking forward to hearing what you find ! So far, I have listed my in progress PhD under my qualifications summary, and doctoral researcher under my work history. I list my duties and achievements as any other job, except that I highlight my non PhD functions as much as my PhD ones, so departmental projects such as designing and delivering cpd courses get a bullet, but publication efforts do not. I am still early in my job search but so far it seems to be taken as a job equivalent. However I’ve 10 years previous (unrelated) work experience too so that may make a difference. I had the same impression when first starting to look for a non-academic job: hopelessness and feeling like I had no value to a company, that I would need a first trial company to take a chance on me and make me ready for the work world. But then several key essays made me totally change my mind – as a PhD student I had an enormous amount of skills, both in a wide range of experimental techniques, software, data analysis, and some management. The important thing for me, which landed me an amazing high paying job I love, is to reframe my presentation and not buy in to their worldview that devalues me. Honestly, after my PhD where I was constantly doing new things, expanding and broadening myself, including managing students, long-term project management, lab management and tool maintenance, writing both technical and non-technical reports, winning grants, constantly meeting people and networking – after all that, the business world is almost stifling. Imagine you spent 5 years at the same company, instead of a PhD, doing some engineering design and analysis. After the first year or two your growth slows, you’re not confronted with as many new things, and as a cog in the engineering company machine you’re only involved in a limited frame and don’t really understand what the other cogs are doing. Spending 5 years on a PhD makes you a much more valuable employee. The problem with employment, then, is not that you are not valuable, but that you are so valuable that the companies will only pay the big bucks to hire you if they really need you, in a limited number of positions and only in certain industries. You’re worth 6 figures and up, so will they hire you to do some widget product design? No, but they will hire you to develop Alexa, next gen rocketry, telecom technologies to support 5G, VR systems, 3 nm Si circuitry, something else cool. Sorry to those outside of engineering and technology, that’s my background so those are my examples. Totally agree. It is about recognising your skills and benefit and targetting appropriately. Most PhD students have no work experience in an actual corporate sense. They have theoretical experience. I am a business professor with a doctorate, and i get this issue a lot. The applied DBA is wanted more for corporate work as the PhD is typically academic/theory focused. Many corporate jobs want the person who has balanced real books and made real business decisions. Now I realize this is only one subgroup of doctorates, but it is the one I have experience with. I think the issue comes more to how we train PhD students and how we market the PhD. Is it academic only? Does it have value in corporate America? Are applied doctorates the way to go for corporate work? We see universities with differing views on this, so it makes sense that others are confused as well. All excellent questions! Universities around the world are at least grappling with the issue now. I’m a management prof as well – I think one of the issues that allowing people to go ‘straight through’ is a mistake because they get habitized intro Universities and often are unable to make the subtle switches in language, tone that indicate in interview that they are able to make the leap. As an academic who spends most of his time with commercial companies finding other academics who look and sound credible to work on projects is often a challenge – my corporate partners don’t care how many papers someone has turned out – what do they know about KPIs and hitting them? Having said – my experience (and what I can see in the jobsl) is that people with degrees in Economics and similar subjects don’t struggle to get a job. So also clearly employers just straight up value some PhD more than others. I think this is true – our research suggests subject matter expertise and technical skills are highly prized by some employers and they will overlook the experience issue to get this kind of expertise on board in some instances. What we are not admitting, at least in Canada where I got my PhD, is that the whole system of research granting is tied to providing low-paid research jobs for graduate students and this relatively new sub-class of precarious labour called the post doc. Newly minted PhDs take on the post docs with the belief they will be marketable for non-existent tenure-track jobs. It’s a catch 22 situation because it seems like getting experience in the “real” world is is the only way to get a job outside academia yet academia does not seem to value anyone with outside experience. I am working in a non-academic position at a university that advertised for a BA with 2 years experience. I enjoy the work but really, I’d be fooling myself if I thought having a PhD was necessary. Was my PhD worth it? In my mind yes because I loved the experience. Am I out of my mind for leaving a job that paid twice what I now get paid and will never qualify for again? Friends and family would certainly say yes. Especially after they saw how hard I worked for this mystical degree no one “gets”. The misunderstanding of the PhD outside the hallowed halls of the university is alive and well. I’m a current PhD student, and was formerly a hiring manager. I understand the value of a PhD to the people getting them, and to the advancement of humanity (for lack of a better phrase), but I concur with the hiring managers who say that academia is often a different planet than the commercial environment, and those who excel in one do not necessarily excel in the other. The amount of time given to do research, the resources available, and the purpose of the research are generally completely different – and when I have had PhDs in my profession come in to do a trial day, they have generally not understood that, and have not been able to appropriately adapt methods learnt during the PhD to the commercial context. Of course there are exceptions, but saying that hiring managers are “discriminating” completely without reason is simply a failure of imagination, and a failure to understand that research in a commercial context has unique constraints that are not present in an academic environment, and that many (if not most) companies don’t necessarily have the time or resources to ease that transition for a new worker. Thanks for sharing your valuable perspective. I hope it was clear in my post that not all hiring managers are affected by bias, but that thinking process was definitely present in the interview data. I have two CVs – one is academia-focused, the other is work-focused. The academia one has publications, conference talks, invited talks, research grants etc first, with work experience in roles I’ve held before PhD study as a less important part. The work one is very different. I do not have the PhD on there at all, none of the academic outputs are there, and it focuses very strongly on roles I’ve had for the 10 years prior to doing the PhD. I think ‘Smudged’ above touches on a very good point – PhD grads are not seen as having any “real world” work experience. Academics are seen to be eccentrics, a bit wacky, not at all practical (theorist only), definitely flaky, and with no idea about reporting deadlines, budgets, or any of those other things that make the commercial world go round. I will be applying for non-academic roles once I graduate with the PhD and I will be framing the PhD as a project that I have successfully managed to completion, on time and on budget. I will use it as an example of successfully designing a project, reaching key milestones, networking and collaborating, being able to write clearly and concisely*, and producing output in a timely manner. My previous work roles have been PA/EA with project management experience, so I can mould the PhD into a similar framework. *I’ve talked to many folks outside academia who think that academics cannot write clearly and concisely, but use ‘word salad’ to show off how smart they are. My own family are excited about my PhD, but one aunt said to me that she can’t wait to read the thesis, although she won’t understand it. I’m a historian, not a scientist. There should be no reason why she shouldn’t be able to understand it. I made a conscious decision at the start of the PhD journey that I would write clearly that someone who has no idea of the topic or historical theory can understand what I am saying. I think that’s a wise strategy – on both counts! This is a really interesting post Inger and I think I’m experiencing a different take on it. I switched to working part time on my PhD (in education research) in order to take a part time job as an academic developer (one of those university jobs no-one understands – I like to think of myself as an educational consultant who suggests ways for staff in a range of roles to think about their teaching). My primary reason for doing this was that I thought I would learn valuable skills from my then boss that I wouldn’t learn from my PhD. This turned out to be absolutely true and one of the best decisions I make. Interestingly, a lot of academics seem to see my PhD as not being well suited to the work I do. There seems to be an assumption that I am doing this job as a temporary thing while I finish my PhD, whereas I see it as something I want to do for the rest of my career and my PhD is what allows me to do it really well. I’ve also had people express concerns that I am too creative, spend too much time thinking about the big picture and am not practical enough. So I’m not sure the hiring managers’ views can be entirely attributed to lack of familiarity with PhD grads. I do run these kinds of workshops and will try to document more here this year. Being seen as a flight risk is definitely a thing! A tough one to counter. People and team work skills might be as important to emphasise in an application to counter the Sheldon effect. I have felt and heard often in the workplace (as a non-PhD and grad student) some resentment and ‘tall poppy syndrome’ towards people with a PhD on their CV. This is in areas where a research qualification is not a requirement, but I think many in the workplace suspect that PhD graduates ‘breathe rarified air’ and are not be to connect to the rest of the workforce. Hopefully we can break down this stereotype, one graduate at a time! I think it becomes really important to link your PhD with real world application. You wouldn’t say ‘I did a machine learning analysis of recruitment materials’, you’d say something like ‘I looked at how people advertise jobs in ways that exclude the best qualified people’. And similarly, I don’t say ‘I applied deliberative democratic theories of representation to minoritised language communities in Australia’, I say ‘I found out how governments can consult better’. I can (and do) then tie my research to policy making or analysis work, communications work, research work, critical thinking and problem solving, etc. Did I publish a book chapter, blog posts and present at a bunch of conferences? Sure. But in the world outside academia it demonstrates that I can communicate complex ideas in accessible ways to a range of different audiences through different media. Having said all that, some people just don’t see value in the PhD. My experience was that they think you are more likely to be an isolated worker who doesn’t play well with others and who gets bogged down in the details, so I played up all my work on committees, the study groups I initiated, and the times I had to adapt to changing circumstances (changed topic, new supervisor, problems with ethics, major changes requested on publications, managing constant feedback, etc) to preempt that. I ended up getting a fantastic job in government with zero non-academic experience (outside of hospitality). In my post-interview feedback the hiring manager (now my manager) said his only concern from my CV had been that I didn’t have breadth of experience outside academia, but the way I wrote my Key Selection Criteria and how I framed everything in my interview was enough to overcome that. Thanks for sharing – this is advice I give out in workshops, so I’m glad to hear it worked for you! Dear Ingar, I am responding to your latest post on non- academic jobs after PhD. I am a Registered nurse working in Darwin, NT currently studying my PhD through The University of Melbourne. My topic is: How is communication among health professionals in operating room influenced by noise? I am studying part-time, in my 5th year. I am 53 yrs and have worked for the last 18 odd years in the operating suite. Once I’d finished my Masters this topic still bugged me so I started the PhD, hunting for suitable supervisors lead me to The University of Melbourne. So enough of my background, you want to hear about my experiences. When I first commenced by PhD, I hid it when applying for jobs. I was trying to get a position off the operating floor and into some kind of managerial position. However I had a masters and very few nurses had them 5 yrs ago in Darwin and I experienced negativity towards this qualification. I ended up getting a project management position due to my experience in a field of surgery. Once I had proven my abilities in this role, I then experienced acceptance of my PhD. I have now commenced another project management role that is very complex, lots of stakeholders, tight deadlines, and the need for attention to detail. In other words someone studying a PhD would be very suitable for the role, so I pushed the various abilities a PhD requires in my application. One of your previous blogs was on the qualities a PhD requires and I noted them in my CV and push them in my applications. In Darwin, there are only 2-3 nurses studying a PhD now. When I started I was the only one. There was one other nurse in Darwin with a PhD so we are still a novelty. Academia does not interest me I’m afraid. I have only since commencing this new position added PhD candidate to my work email signature, as I was afraid of retribution and discrimination to it. I had subtlety experienced this in person at work hence hiding it. Some of my work colleagues thought I was a freak when I first started the PhD, now it is more acceptance and possibly respect for the work involved. But this response has been slow in coming! It’s nearly as if because I am studying a PhD I need to over prove myself. I’m writing this while in the train to one of my supervisors meetings down in Melbourne so it might be a bit jumbled sorry. I am more than happy to discuss my experiences further if you’d like. Thanks for sharing Louise – I think your experience speaks to my point about being a minority. Sounds Ike you are blazing a trail for others, so good on you! Coming from a different country (Poland) and (slightly?) different reality, I’ve met many PhD students who struggle with finding the right job (unless you’re in IT etc.) The option of “staying in the academia” is almost non-existent (universities don’t have the means to hire more young staff), and post-docs are not really a thing here. The problem is even bigger when it comes to humanities… A friend of mine has a PhD in history and getting a job (any job!) was an issue. There was no room for her in the academia, public institutes, schools… It got even worse when she tried to find a non-academic job, as many recruiters were put off by her degree (as if they were trying to ask her: “aren’t you too smart to be here?”) After a long time, she found something completely non-research related, but it was hard. Seems like her studies were a huge waste of time. Interesting post Inger, and I agree with your impressions of prejudice (happens too often to downplay to discimination). There are elements of tall poppy syndrome, perceived intellectual elitism, and the good old knocking machine from the “I’m as good as they are” brigade, despite the fact that the as-good-as brigade hasn’t done the years of quality thinking or taken the critique that a PhDer has. But I also wonder if there is something about learning to do research ‘properly’ which means that PhDers may resist cutting research corners? The academic rigour which is embedded means we aim for as close as we can get to 100% accuracy of results, instead of aiming for the roughly-right – say 75% – required by business? I suspect that the as-good-as-peeps have a chip on their collective shoulders about a PhDer having time and resources to study something in depth. Plan old envy. I wonder if it is seen as a mental luxury: almost like people are not doing ‘proper work’? To me there is a sense from the as-good-as-peeps that PhDers should be slapped back to the ghastly reality that the as-good-as brigade face. Thanks for letting me pontificate! It will be interesting to see the results of your study! And let’s be frank: some of the nuances we learn to noodle over really *aren’t* important in applied situations. That’s fair. Yes. Finding the balance can be very hard. Academia has such a strong set of ethical frameworks around it too, which largely disappear in industry. The ethics process certainly slows the research down in lots of ways, but does ensure quality. I think a large part of the lack of respect the outside world has for academia is due to the pressure within universities is to communicate with other academics, not with the outside world. I am a science writer and Honorary researcher, and have three books resulting from my PhD. One is with Cambridge University Press – proper academic stuff. Sold very few but hugely respected inside academia. The next was mainstream commercial, but still serious, and is a best seller in Australia and doing well overseas. Being a PhD helps when writing non-fiction. It gives authority to serious non-fiction writing. But I am still only reaching an educated audience – those who value qualifications. My new book is very mainstream – it will be marketed as self-help and personal development – memory methods. My publisher expects it to sell well, but it will not be respected among academics and I can’t imagine my university boasting about it. It is still drawing on my academic research but I have worked very hard to make it relevant to a large portion of the population. I think that Rebecca’s comment is the key to the change. We need to communicate. We need to get outside the university walls and demonstrate that our research is important, and even more so – interesting. And universities need to start respecting those who do so within the journal ranking system that grades obscure journals more than mainstream newspapers, magazines and book genres. 2. Networking is key. Hands down. In consulting especially you will get a foot in the door through people you know first and foremost. I’d suggest graduating PhDs exploit every network they have no matter how tenuous the connection. My current role came about through reaching out to a Facebook friend who I’d met working in retail during our undergrad about 10 years prior! 3. Look for jobs on Seek by all means, but don’t apply through Seek. Most of the jobs I unsuccessfully applied for were through Seek, and in most cases I didn’t even get a response let alone a rejection. Find a way to meet with the recruiter (coffee dates are relatively easy to arrange once you have a way in), because it’s impossible to discern from paper the interpersonal skills of an applicant, and this is arguably the #1 skill required of consultants. The frustrating thing for me was I knew early on in my PhD that I didn’t want an academic career but I found there was little to no support in pursuing this from my university – none of my colleagues, supervisors etc had worked in consulting and so I really had to go it alone to find opportunities. In my opinion, universities are setting PhD students up for failure by not preparing them for non-academic post-PhD opportunities, because with the disparity between graduates and academic positions the reality is there will be many graduates going into non-academic jobs whether by choice or circumstance. I’m glad it worked out for you, and totally agree on networking. That’s the only thing that’s ever worked for me in my career. I agree too on your last point. This research will help ANU tackle this problem – a tough one given that supervisors themselves lack outside experience in many cases. Why is it, or should it be, the role of supervisors? I recently went through a redundancy and had access to services from a multinational outplacement / career transition company. The company, like their competitors, employ career coaches, trainers, and support staff with knowledge and experience relating to career transitions. This experience convinced me that career guidance and transition for skilled or experienced workers requires experienced staff with appropriate and up-to-date knowledge of industry and recruitment practices. Not only do PhD supervisors “themselves lack outside experience in many cases” as you say, but it’s questionable whether they could – or even would want to – build and maintain this skill set. This is a timely article for me. I’m battling to get my PhD tidied up and submitted. I’m nearly up to my eight-year anniversary of starting. I’ve had two travel scholarships and one completion scholarship (the last instalment of which I lost as I didn’t submit on time). Apart from that, I’ve been fully self-funded and studying part-time while running my own business. Since selling the business 2.5 years ago, I’ve been living off my lady-sized superannuation, and recently changed to Newstart (requiring an immense battle with Centrelink, naturally). Like the student above, this has caused major issues with my mental and physical health. I took a year off in the middle of the period for health reasons and am working at snail’s pace now due to my recurrent depression, anxiety and lack of confidence in the worth of my work – despite my very supportive supervisors’ assurances that my work is very important, and my published work being cited by major players in my field. I’ve started applying for jobs (though, at age 58, Centrelink does not require me to look for work! ), both post-docs and unrelated to my PhD. Based on my experience from before I ran my business, and the responses I’ve had so far to my job applications (and lack of response for feedback after rejection), I don’t expect to find employment anywhere, so I’m figuring out what I need to do to run a new business. I wasn’t aware of any disregard for PhDs until very recently, and while I’ve never wanted to work in academia (unless I can do pure research) it does disturb me a bit to read this article. I really did my PhD for my love of learning (though I think that’s been beaten out of me now!) so employability was secondary. However, when I started I thought I’d be running my business until the end of my days; circumstances changed so radically in that profession that I had to get out. Now employability is more of a prime consideration. I’m looking forward to hearing how to hide my PhD in my resume, especially the bit since selling my business. Sounds like a complicated situation – hope my research can help! I used to work as a consultant, have some experience with recruitment (outside academia) and am now doing a PhD. And I have to say I understand the recruiters’ attitude somewhat. It is not that PhD’s cannot do the job really well (of course they can) but their approach is sometimes not very practical (as they mention), especially if they have no non-academic job experience. I would not rule someone out because they had a PhD, but I would be wary if they had only ever worked in academia. Academia is a unique working environment… I’m grateful for the 10 years I spent in architecture practice. I learned a lot of skills about getting things done quickly in that environment. Inger, as others here have indicated, you’ve hit a raw nerve with this post! A friend of mine, with almost 40 years’ teaching experience, was an Assistant Principal at a primary school when she decided to undertake a part-time Doctor of Education to investigate mid-career primary school teachers. She also applied for Principal positions. You would think that someone who was clearly demonstrating her commitment to education by doing doctoral research relevant to her role would be valued as a Principal. Nope! One interview panel chair told her to take her doctoral studies off her CV! My friend has since retired from her AP job, has graduated and is a sessional academic in primary teacher programs. She is a now pebble creating ripples in the development of ‘pre-service teachers’. Frustrating too! It does make you wonder whether people fear the analytical powers someone like that might bring to the workplace? Or that they think they will have to pay a higher salary as they perceived someone with a high-level qualification may have higher salary expectations. I have over 10 years of HR work experience (prior to 2010) and a PhD in leadership (obviously something that aligns with HR) yet when I started looking at returning to industry I was told repeatedly I had no relevant experience. As someone who had managed recruitment functions it was infuriating. In the end I’ve stayed in casual academic employment and arts based consulting as this is where my academic AND professional skills have been recognised as an advantage. I agree that a PhD can actually inhibit your non-academic job search. That’s very disappointing – and frustrating I’m sure. Great post Inger. Identifies a real issue for many PhD holders. I and many of my clients have experienced PhD holder discrimination. I spoken with numerous employers and recruiters re their attitude to PhD graduates. As you note, the fundamental issue is a lack of understanding that a PhD is an active degree – developing skills not just sitting and thinking. It is inherent that all of us develop an ability to highlight our skills and benefits in a language that employers and recruiters understand. This means using our research skills to learn and adapt to their language and to respond accordingly. Practical experience and internships are highly valued as they are deemed to show that a candidate is ‘work ready’. However, I would argue that a research degree is a contract position in which skills are used to produce an outcome within a set period of time. Presenting the PhD in this light has been more successful for my clients than simply stating they have a research degree. My problem is that I haven’t produced an outcome within a set period of time. I’ve never missed a deadline in my life until my PhD, and it’s not a good feeling, particularly when my age and health status are not on my side with respect to employability. Hmm. I put the disparaging remarks from colleagues and superiors in the work place down to envy. Hi and thanks for your great posts in general. This one in particular, inspired me to write and tell you my experiences in the work force applying for positions. I found, often ( more so if the recruiter was not familiar with the speciality) my many years experience and my masters degree in business didn’t make a big difference. It seemed to me, if they saw I was a ‘fit’ (ie. extraverted, friendly and played down my qualifications) I was more likely to be considered for the job. I too, ended up having a work and another CV and that seemed to work. I’m now doing a PhD so it saddens me a little to hear of this apparent discrimination. I hope our research will help Barbara! I’m German (based in the UK, Brexit hurrah!) and I’ve found that there is actually a decent number of jobs in Germany that list a PhD as a desired criterion. In the UK, on the other hand, these jobs are basically non-existent. And this is of course hilarious if you see job adverts that are asking for experiences that only a PhD student can have (for instance teaching experience in an HE environment, extensive research skills etc.). What they usually ask for, nonetheless, is a “mere” BA (not even a post-graduate qualification of some sort…). Most HR recruiters don’t have PhD and also are bureaucrats of the highest degree. For them them the applicant is a dispensable number; in this case a number with qualifications they don’t understand. From my experience, all that is usually wanted is someone who has done the exact job before (or someone with the right connections). As PhD graduates, we have been fully socialized as academics. And as academics, we are our own worst enemies. How does the average employer experience academia? For starters, some employers will have attended university as undergraduate students. However, if they did not see their undergrad studies as being relative to what they wound up doing after graduation, and if they did not view their professors as being grounded in a non-academic reality, they will likely not see PhD graduates any differently. Other employers may have worked with university researchers. In many fields (such as applied sciences and health sciences) researchers from academia and industry work side by side. In others, “scholars” view ourselves as clearly separate from “practitioners” – indeed in the field of business management, we study practitioners. Do we as academics ask questions that are relevant to our participants, respect our participants’ time, provide opportunities for feedback, and share our results in a timely and accessible fashion? Many of us do. Some of us don’t. PhD graduates have skills that could translate well into non-academic pursuits. But let’s look at the other side of the coin. How welcome would a non-PhD graduate be in academia? Would publishing in professional journals and facilitating in a corporate environment be considered equivalent to publishing in peer-reviewed journals and teaching university classes? No. (At least not at my university). As scholars, we value different types of knowledge. You may have guessed by now that I am writing this from the perspective of a non-academic who returned to school mid-career, and found the experience to be alienating. The reason why the stereotype of PhD graduates as impractical nerds exists is that there is a nugget of truth to it. New PhD grads looking for work outside the system (and even those of us trying to make it as professors) need to do a lot of self-examination. Thanks for this response – thinking about it the other way is certainly illuminating! I’ve not considered this before and I’m glad you’ve pointed it out. I’ll be thinking about this for some time! I’ve seen both sides of the fence here. I have a PhD and I’ve also had to hire for industry positions (not research related) multiple times. I learned two key lessons which I apply to this discussion. 1) When I first had to hire people I would place CVs with good qualifications at the top of the pile. Soon I discovered that qualifications don’t actually represent job competence and realised I was also discriminating against people who may have skills but not qualifications. When I opened my parameters I discovered that people with skills but no qualifications regularly had a reason – mothers who dropped out of uni when they became pregnant, those who grew up in an area with poor schools so did not receive marks that reflected their capabilities, older citizens whose need to pay the rent always overrode their desire to study, etc. Suddenly I had twice to three times as many candidates to choose from. With experience I developed my own style for reading CVs and cover letters to determine who I thought worth an interview. 2) When hiring I soon learned that the most important asset a person could have in a team environment would be that they would fit into (and hopefully improve) the culture. Qualifications can never speak to this area. It has to be assessed through deep exploration of personal values and experiences in the interview. I began hiring based on a combination of character and competence, trusting that if the hire didn’t have all the skills needed they could be trained by the organisation. Appointing people by this measure never failed me. I do think there is a stigma associated with the PhD, particularly when people have had a bad experience of one and it results in tainting all of us. I also think that universities are one of the few workplaces where you can thrive without improving or even deeply engaging with ‘team’ culture and so PhD students are not mentored and trained in this area adequately. Thanks for this thoughtful response Aidan – I think others will benefit from reading it. Thank you for this post – I think this is likely to be true. I am a fairly recent PhD graduate (January) and have had 9 interviews. Some in research-type roles and some in government science roles and some policy roles. I’m an applied ecologist with almost 10 years of natural resource management and policy experience (prior to starting my PhD). I would love a research job – but cannot always apply as I can’t move from Brisbane due to having a young family – which makes the field even smaller. I thought I was the problem, as I always ask for feedback, but most of the feedback has been vague and sort of – they just didn’t like me on the day. I’m a pretty social person (definitely not a Sheldon) and have heaps of actual experience. But some of the feedback is now stating that my examples of specific policy development are “too long ago”. Being more than five years ago, as I did a PhD and had a baby in the midst of that process. I honestly thought I would be even more qualified having both PhD research/analysis and government policy development and stakeholder engagement under my belt. I’m quite disappointed with the state of affairs tbh. I’m wondering if I’m just not able to articulate well-enough how my new “research skills” combine with my previous experience to create a super-researcher / policy officer??? Maybe because of the “alien” perception of PhD graduates and the specific nature of the research world, we need more skills (did I just write that?) on how to market our PhD skills to the recruitment world/wider world? Thanks a lot for publishing this unique and informative blog. 1. Candidates with PhD are considered as over-qualified in some cases. Common perception is that they may jump the ship at the next opportunity, if a better offer comes along. 2. If an employer wants to invest into someone, they prefer somone still a bit raw. PhD holder is like a finished product. So there is little to mould. Personally I don’t agree with this point. 3. 95% of all publications by a PhD holder are exactly that: publications to boost their resume. They never get translated into commercial products. Industry deals with commercial products, day in and day out. So publications, while is a measure of your quality as a researcher (the more prestigious journal publications you have, the more your work is referenced by others), it does not add much value to an employer unless it is R&D jobs and focus is on the area of your publications. 4. You mentioned a PhD holders ability to manage end to end delivery of a project. When a project has high commercial visibility and serious budget consideration, I will not be willing to give PhD holder to manage a $15 million project without any experience, just going with the knowledge that he has the ability to do so. Simply will not happen without experience and proof. That is why we have specialised courses in project management and why there is still such a demand for program and project managers. What PhD does teach you is how to approach work/projects in a structured way, how to do reserach and analysis based on data and other evidence and then formulate a proposal/plan. Writing a grant application and a business case for $15 million to develop a commercial product (where technical design documents are submitted with the business case) are NOT the same thing. Managing end to end delivery of a commercial project requires much more experience. In commercial world, nothing beats experience, not even a PhD. Now that HR recruiters are increasingly using Applicant Tracking Systems (ATS) to review job applications, it has become much easier to tweak the scanning process to eliminate specific type of applicants. No wonder PhD holders tend to omit PhD from their resumes. The only solution is to first get into the job market, either as an intern or in a junior position. That first work experience is valuable. Once you can prove your worth, you don’t brag about your PhD (even though your whole existence wants to), you should be able to quickly move up the corporate ladder. Remember, you have received specialised training for 3-6 years (during PhD and post doc) that others have not. That will set you apart. This definitely echoes my experiences, as with many others on here. I finished a PhD in sociology in 2017. I originally planned to do a mixed qualitative and quantitative project so I could finish with a wide range of skills that would be valuable across many fields. I was not-so-gently “pursuaded” into undertaking a theoretical thesis. Yeah, it was interesting, but I felt I had no other option. No one in the department could support me in my ideal project after my co-supervisor shifted university (to the other side of the planet!). But anyway, by the time I finished I hated my project and even now regret having done it. It caused a lot of mental distress that I am honestly continuing to work through. After applying for 25+ jobs – both academic and those in the “real” world – I lost a lot of hope. It compounded the phd regret. Unlike others who have commented, I don’t have proper work experience outside the academy; I went straight from kindergarten through to a phd without a year off. So basically for hiring managers, I have no experience. Ouch. An opportunity thankfully came up doing research for a a not-for-profit. My now manager could see how my skillset filled some gaps within the team so that we each bring strengths to the table. My manager has a PhD, but no one else in my team does. And we are all from different backgrounds (public health, statistics, geography etc). Sounds great. Well, my position is largely entry level and administrative – a PhD is certainly not a requirement. Ah the regret enters here again… I continually have the thought process that I am better than this job, essentially because this ideology was drummed into my head through the PhD, “you are important and special! You have incredible skills!”. So not true in the ‘real job world’, from my experience. My manager has said in conversations (in which I ask for greater responsibility and interesting tasks because I became incredibly bored doing admin after finishing a PhD) that I simply don’t have the experience to be anything higher. So I am not so much battling the imposter syndrome (although there’s plenty of that still! ), I’m also battling the snobbery syndrome… I find myself becoming quite critical of the research that we publish, of its “meh” quality. We cannot critique because we are *a business* and ultimately it is about what the *business wants and needs*. After doing independent, thoughtful and critical inquiry for years, this is becoming quite difficult in my mind to deal with. (The tight timelines on the other hand, I am totally fine with!) I have applied for other jobs in the sector that might provide more thoughtful freedom, but I think they are like unicorns… And probably only exist in Sydney or Melbourne. Even entry- or mid-level research positions anywhere are rare. How can we get the experience they want if there are limited opportunities for those with “no real-world experience”? Clearly this has hit a nerve for me! This research topic is important, I hope it brings lots of benefit to people thinking about and finishing their higher degrees. Thanks for your thoughtful reply – you raise a lot of critical issues that are not often aired, particularly the messaging around being special. It’s true – you are, in academia… but whether that specialness is valued in other contexts is really discussed honestly. I’m glad to hear you have a foot in the door at least. 1) Part of the problem is the increasing scarcity of career-track entry level positions, making it very difficult for well-educated people to even get their foot in the door to *get* that needed experience. Bring on the unpaid labour (volunteering, internships, hope labour.) This is not a problem particular to PhDs. 2) If there are in fact systematic prejudices against PhDs in industry (and I think there are), the usual advice to translate your academic skills into “industry speak” can only take you so far. This doesn’t mean you shouldn’t do it. I’ve certainly done it. But it isn’t anywhere near the panacea it is often presented as by job coaches, and still generally requires you to obfuscate your PhD into oblivion. This isn’t a point of pride thing — I just don’t like how disingenuous it feels to do so. About twenty years ago the company I worked for advertised for a PhD inorganic chemist to work in the mining industry (research). One hundred eighty applications later … ??? Well sorted into two piles those that had appropriate experience, qualifications and their cover letters and CVs were intelligible, and a pile that did not meet these requirements. Ten telephone interviews and four in-person interviews later offered the job to a person and we were turned down. We repeated the process with a fresh advertisement and another eighty applicants … we hire our PhD. But during the process we were looking for people that likely could interact with colleagues and “clients”, could write, present, and frankly had life and showed some leadership skills. The process was not just about the PhD. A valuable observation: ability to work effectively relies on a broad skill set. PhD study captures many of these skills, but by no means all. Your blog follows my train of thoughts which is why I felt compelled to add a comment. Hiring committee is all about efficient work, literally…! I come from a family of academics. One was an educational reformist that got paid to speak all over the country. I have also worked all over the country. I have noticed the same trend. I wonder if the educational elite propaganda has run too far amok. As an owner of different businesses have heard other business owners a reluctance to hire some PhD’s due to having trouble training them for what they want them to do. That is a small percentage and I’m not sure they really tried. Is there a problem of being too research based that it then becomes a problem? I don’t know. My first two businesses were from solving a problem from going into a library and researching until I found the solution. The first time, I wasn’t intending it to become a business, but the businesses didn’t want me to stop after I solved the problem. I am not a PhD however, but the ability to be comfortable with doing lots of research and turning it into action, I would think be a huge benefit to most businesses. It’s not envy. I know people are trying to say kind things, but trust me, it’s not, and it doesn’t help understand the real reasons that doctorates are often not valued outside the academy. I had input into hiring decisions before starting my PhD. When we sorted applications, PhD graduates rarely made it into the pile. We did like people with a Masters, though – that was a qualification that demonstrated commitment to a subject, some basic understanding of research skills, and a reasonable intelligence. But doctorates were perceived as a further three years (at least) focusing on just one obscure thing – that presumably they’d still want to bang on about all the time. In the area I was working, we wanted very bright, able and adaptable generalists. A PhD seemed to almost guarantee that the applicant wasn’t the latter at all, but instead was likely to be up their own backside and probably convinced of their own superior knowledge. Why on earth I went on to do a PhD after this I’m still not sure. My PhD is part time, and though that has made it extremely difficult to complete, it also means I already have a full-time academic job and was at no point out of the labour market. I am beginning to think that I am actually one of the lucky ones (it has rarely felt like that). I know people at the same stage as me who have never had what an employer would consider a real job – not even an internship – because they’ve been focused on studying. Yes, you can present all of that as transferable skills, but I wonder if full-time PhD students might do better to think ahead about what a non-academic job might look like, what skills it might need, and what they might do in the course of their studies to attain them. Of course, this means considering quite early on that an academic job maybe isn’t going to happen, which seems to be something that we’re still appalling at acknowledging. I completed my PhD in 2013. I left academia determined that I would never go back. Four years of a difficult relationship with my supervisor and no pastoral support left me with no choice but to leave. I spent a year attempting to get a job. I applied for everything including low level jobs and in 6 months only got two interviews. Most of the time I didn’t make the shortlist. On the rare occasion I got feedback, I was told I was over qualified, it was implied I wouldn’t stay long term and I got the strong impression that most managers didn’t want someone more highly qualified than them working on their team. It felt like a battle on two fronts, too qualified for the job and insecure managers made it impossible for me to get a job. Frustrated, I removed my PhD from my CV. I got a few more responses but the part-time and temporary work I did alongside my PhD wasn’t considered enough experience. I had a year ago when I was writing up where I didn’t work which also was counted against me. To have my PhD on my CV or off it, I couldn’t get anything, even a shelf stacker at local supermarkets. In the end I retrained as a teacher. Despite my horrible experience during my PhD, I loathe the wasted years I spent at university because it also created an insurmountable barrier to any employment. Fortunately, in my current job, my PhD is irrelevant and I make a point of not revealing I have a higher degree. I have never used Dr and bitterly regret doing my PhD, wasting 4.5 years of my life doing a qualification that actually hurts my chances of a job. With friends who ponder about doing a PhD, I am blunt and tell them to get a job first before they jeopardise their future job prospects with a degree no employer wants or understands. I don’t possess a PhD, just to clarify where I’m coming from on this. Although I’ve known many and worked for some and been in a hiring position where they were candidates. Decades ago, a friend of mine told me how getting a PhD closes more doors than it opens. The phenomenon you describe is not especially new. I don’t think the envy or Tall Poppy syndrome is as strong an issue as others here have suggested. The average business person who has that kind of envy usually directs it toward money, status in the company and things that are business related. To give you an analogy; you are working at a company and are part of the team that will be hiring a technical position, let’s say system administrator. All three of the finalists are formerly from the military. They are a navy ensign, an army lieutenant, and an air force flight lieutenant. Which do you give the job to? A rational person would probably want more information on each candidate and not consider the above information relevant. That’s how many hiring managers might see someone with a PhD. None of those candidates is a Tall Poppy. They’re each someone who excelled in a world the manager doesn’t understand and has no way to understand how hard or easy their achievement was. I literally have no idea what the three candidates I mention went through for the last 10 years of their life. If they described it to me, I doubt I’d understand the difficulty of their job. Not understanding it, I might underrate it. I’ve conducted and been in countless technical interviews, which are their own animal. It’s a grilling on the specific technology, how specific problems on that technology are solved and what common problems one runs into. Years ago I got an Oracle Certified Professional certificate for database work. It is extremely respected in the field and takes roughly two to four years of study to get even with experience. But when I’m being interviewed they still grill. And grill. And grill. My cert only buys more questions because people want to know if someone with that cert is as good as they’ve heard. Those interviews are really closer to auditions, BTW. A lot of singing and dancing. So there’s a social aspect to them. Anyone who still considers academia the social norm is going to have a challenge that other candidates won’t. Someone here mentioned that a boss will be afraid to hire someone with good analytic capabilities. That’s not really true. They’re going to expect someone who is analytic to be better at a job that takes analytic skills. The way corporate politics works, an analytic employee isn’t going to be heard if they go against what management has decided. A PhD or lack of one won’t affect that in most companies. Even a highly experienced group of employees can’t stop a bad decision if management is fully sold on it. So most managers won’t even consider worrying that a candidate with analytic super powers would be a threat to their job. If you can’t play corporate politics, you aren’t a threat. It’s very hard in life to have to prove yourself when you’ve already proven yourself. But I’ve had to go through that many times. It’s depressing even if you don’t have a PhD. I don’t possess a PhD myself, but I do have a university degree, and I have a lot of sympathy for your cause. 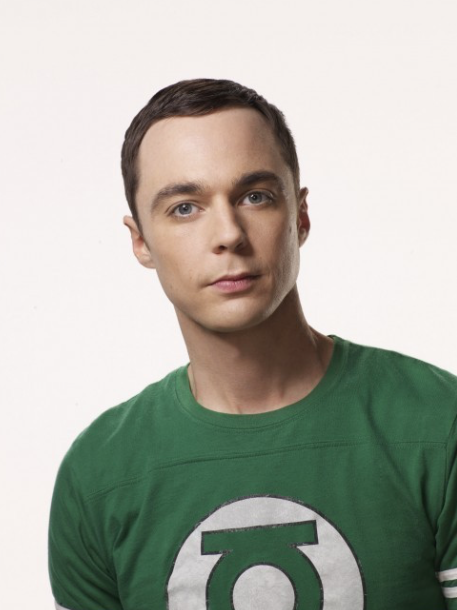 I’ve never watched the Big Bang Theory, because from what I’ve seen of the show in commercials, etc., it simply reinforces actually damaging stereotypes and cliches, and it is a comedy – “let’s make fun of the ‘nerds'”! Most of the PhDs I have known have, in real life, been happily married with families. Eccentric? I am eccentric myself and take great exception to eccentrics being, once again, stereotyped as “wierdos”. Thanks to research done by David Weeks, himself a PhD in psychology who has researched eccentricity, we are actually quite brilliant, and unique. I’ll look that author up – thanks. Hopefully there is a growing understanding and appreciation of the tyranny of the ‘neuro-typical’ way being applied to everyone. We certainly understand that it makes a difference in primary school and secondary school learning, but largely assume that difference disappears in higher education and the job market. Great post, thank you. I’m researching the student experience and it’s interesting how many articles I read separate out student learning from student experience, particularly in the sciences. So I think there is still a pervading general attitude that universities are places to fill you up with facts and get your rubber stamp (with some social experiences on the side). Then you go out and have work experiences that are somehow separate. My anecdotal view on anti-PhD ism is that people just don’t like being around other people who can unsettle their worldview, they don’t want the way things are done to be questioned all that much, and that’s our job really. Indeed – and trying to separate out experience from learning is almost impossible. Good luck with your work! One thing I’ve noticed, without having a PhD myself but coming from a fairly academic family (professors, PhDs and lecturers), is that a spectacular proportion of people in business have a rather limited vocabulary. Words that to me are normal and fairly basic aren’t understood, are met with surprise – “oh big word!” – or just occasionally with appreciation – “oo nice word!”. I had never had people comment on my word usage until entering an environment where brevity is so valued. Succinct communication does avoid miscommunication among nonacademics (and I’d argue academics too) but audience targeted vocabulary is also important. There’s a lot in what you say here. My poor son had the vocabulary of an average 24 year old at 8… it didn’t make him popular with his peers! I agree with what you have said. One job I applied for I didn’t even get an interview for. At that stage I hadn’t completed my PhD but listed I was a confirmed PhD student. However, I knew the overall manager, not the section that didn’t give me an interview. When asked, he found out that the person I would be working for said I was “too smart” so he didn’t want me with him. I was so angry. The upshot was if I had removed any mention of it I probably would have the job. Despite the situation described in the article is undesirable, it is confortable to find someone who shares my views. This situation of two separated words between companies and university that you describe in your article also happens in my country. Not only does this problem affects jobs but also research. Some companies are reluctant to cooperate with academic research groups since they strongly believed that researchers are simply worried about “publish or perish”. The situation is improving at a slow pace during last years as a consequence of the European Union policies which attempt to modify the research structures in universities. In this new scenario, European projects represent a wonderful opportunity to boost research and connect companies with scientists. Under these circumstances I am determined to be part of this change as well as the modernization of our universities. Having a scientific background as well as experience in companies I feel able to understand what is necessary to change this situation. In order to fulfil this major task, help is always welcome and I would like to thank you for this article which was really interesting. Thanks, great post! I have previously worked for state government and was on a number of hiring panels for jobs that did not require high level research skills. I’m now a PhD Candidate. Really broadly, I found applications from PhD candidates to be ‘too academic’ for the job – it seemed like a communication issue to me more than a skills issues or bias from the recruiters (although my experience is limited to a few cases). Rather than saying ‘I presented at X and X international conferences…on X and X unintelligible topics’, the applicant could have answered the communication key selection criteria by elaborating on how they change their presentation style for different audiences or something that is more relevant to the job position. I would encourage all PhD candidates hitting up the workforce to think about how you can describe specific elements of your candidature like they are work projects with tangible outputs. Changing the perception of hiring managers is a great goal – but will take a while. I reckon it’s worth us all learning how to communicate in the language of the job that we’re seeking, how to structure a resume accordingly and to think about what the workplace is looking for rather than only what we offer. When I was talking about starting a PhD – my old boss (at gov dept) said that a PhD would be a ‘feather in my cap’ but that it’s communication, leadership and experiences that get you jobs and I think he was right. You usually work on all these things through the course of a PhD – but we all need to make sure that we know how to explain them to non-academics. I never sold myself as a PhD student, but as an educator, administrator and project manager and played up my other work experience. I’d put my education section last, and refer to things I had done, time bounded tasks and complex management. At other points I simply left off my PhD (I worked the whole way through so there were no gaps) especially if the role was somewhere that had no contact with the academic world. While I did manage to get short listed, more than once I was told I didn’t get work because they felt I was over qualified and would be wasted. Terrible reason, I much prefer paying rent than somehow meeting a potential that doesn’t exist. Even where I work now (managing special collections at a university) I was hired because I could translate the weird and wacky world of Faculty. I found your post really interesting. I am employed as an industry professional in the field which I’m completing my PhD in (part time), and your post prompted me to make a few comments. The first is that they are (for me, anyway) very different worlds. The expectation of how work takes place, the pace, the type of collaboration, the acknowledgement, the prioritisation, project management approach, the flexibility, and what is considered to be crucial are really different in the two worlds I work in. I feel, in many ways, like an alien in the university setting, the approaches to work are quite different in lots of ways. For me, having a PhD mostly won’t help or hinder me, but that’s because of the industry experience I have. There are a very few industry roles which will open up for me because of the PhD. I suspect where I would be greeted with suspicion or an application dismissed if I only had the PhD experience, it will be overlooked because of my field experience. I say this with a fair degree of confidence as I am a hiring manager and supervisor in my field too. The point that I think was missing from your article is that this suspicion regarding experience cuts both ways. In academia, I will struggle to get anything other than entry level roles despite having extensive team management, budget, fundraising, project management and partnership development experience. Nothing I write in my professional capacity is considered particularly credible in the academic world. Practically none of my industry based research would help me in an academic job application. While I am invited to universities as a guest expert industry lecturer, it’s unlikely I would get a senior lecturer role as an academic. If I were willing to start at the bottom and enter the academic workforce as a graduate, I could get research work I’m sure. But I have a family and a mortgage and hold a senior industry role… so that’s not going to happen. I guess my point is that it’s not just industry who doesn’t consider all experience as relevant. Thinking about your post, it occurs to me that relaxing our criteria on both sides, and acknowledging the relevant experiences from opposite sides, can benefit everyone. Rather than look at this problem from the viewpoint of academics and PhD students transferring to the corpoerate world, what about looking at the problem from the other viewpoint; that of corporate employees transferring to academia. For instance, recognising ‘real world experience’ and what that brings to research, particularly when it comes to disseminating research to the corporate world, recognising important real-world problems to tackle with research, and teaching others in academia about the skills and realities of the corporate world, would do wonders to help PhD employability. Maybe it simply means we need particular positions in academic departments or faculties whose role is to bridge that divide and instill more of an outward, rather than inward, look. I know there already are some people that do this, but I honestly don’t see any of their influence on the way academics operate. Naturally this leads into issues of the system itself, where the most important effort from an academic is towards publishing in top academic journals. So, is this problem for PhD students a problem with the whole system of academia itself? How ironic! I passed my PhD the day prior to this post and on the same day had a conversation with a recruitment agency as I am looking for work outside of academia. The chief recruiter told me “a PhD doesn’t matter and its job experience that counts” (or words to that effect). But it was more than just being very dismissive of PhD’s – the label of a PhD seemed to count against the (significant) work experience I did have (I am an ‘older’ student). Having a PhD, for him, placed me in a certain box. It did not matter what I had done before in previous work, the fact I had a PhD was enough to be a mark against me. It was as if the recruiting world treats a PhD as taking away skills. I have thought about this a bit since the above episode and I think the problem lies in that view that recruiter and human resource managers see PhD qualified people as having a fixed way of thinking – when in fact they have to the flexibility to think! PhDs need to be promoted at as being more than just a specialty where those with a PhD have the ability to critically think, with transferable skills. Good Article! every one should read this topic. Let’s hope for good. Good Article! It’s funny, even for a Ph.D. dropout like me the stigma is still there. Applying for a high school teaching position, one of the recruiters said that he didn’t like Ph.D. students because they think they know everything… still got the job though at least for a year :)!! It is already challenging to find a job without the 2 years minimum experience hahaha. Anyway, just started working on a site to assist professionals to transition into teaching in a high school environment :). Yes, I’m in ecology/nat. Resources. Trying to get job in “real” world. Can only postdoc for so long. I’ve been told that I’m overqualified for a position and wouldn’t even be considered (for something that would have been a dream job). Also been told that managers will be worried you’d get bored with the job, move to a ademic job when available. I worked with career coach to make a real resume, education listed at bottom. Still, very few jobs bc we DO spend years in education and YES we run projects and research, but our counterparts with Masters have been out there working in the agency, org, or company for 5 years already. Nobody cares about pubs or understands that each one represents completion of a project. It’s been so disheartening to work 15 years for essentially nothing but debt.